A first-of-its-kind Kali Puja in the south London suburb of Croydon on Wednesday set a new tradition as part of the city’s annual Diwali festivities. Organised by the non-profit organisation Croydon Bengali Connection (CBC), the event is expected to attract hundreds of members of the Indian diaspora as well as local politicians. “Diwali has long been one of the most important events on the Hindu calendar and it coincides with the annual worship of Goddess Kali (Goddess of Power). This is the first time both these mega festivals are being celebrated together in London,” a CBC statement said. CBC describes its goal as the promotion of British Indian culture and heritage in the UK and working towards enriching cultural heritage and community integration in and around Croydon and south-east London. 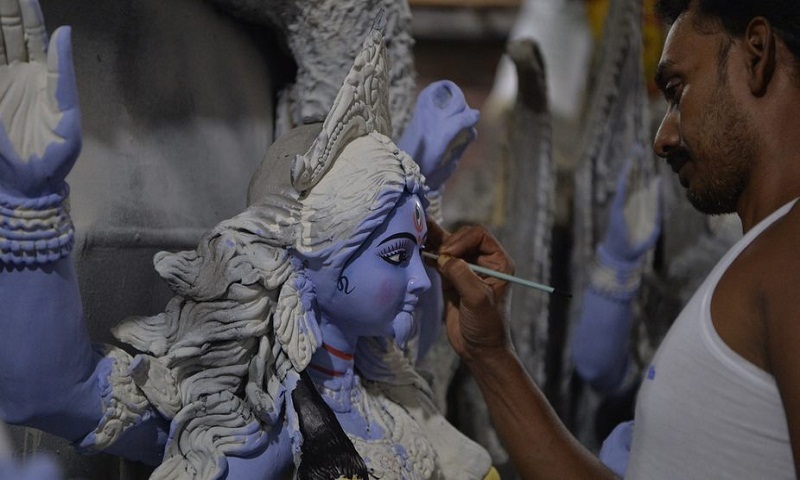 It was set up in 2010 as a platform to nurture Bengali cultural heritage and tradition. “CBC has grown out of its infant stage, and carved a niche for itself while connecting Bengalis from various areas of south London and beyond,” the statement said. The event, to be attended by Labour MP for Croydon Central Sarah Jones and Mayor of Croydon Council Bernadette Khan, will be marked by prayers and lighting of lamps, culminating in an authentic Indian meal. The Kali Puja has also received the royal seal of approval, with Queen Elizabeth II writing in with her “warm good wishes for a most successful event”. Poutine For the Potato Lovers !